Whether you’re completing your first summer internship or you are the Founder and CEO of a company, there are countless reasons to find a mentor or become a mentor. Many of the reasons may be personal; however, there are some common insights among these groups. Shaping influential minds – Mentors can help shape someone’s educational path, personal life or even professional career. Mentors are a force for good. Provide guidance – Mentors offer guidance seldom found in large groups or team environments. This guidance can be shared in-person, via phone, text, email, or any other means that are convenient. The fact of the matter is you’re sharing personal and unique guidance for someone that is willing to listen. Share insights – Mentors offer a unique and personal perspective on matters that sometimes take years to understand. Sharing this knowledge only helps advance the field or subject matter that you’re discussing. Be bold – share what you know. Enhance personal connections – Mentors may gravitate towards individuals that they feel connected with for a variety of reasons. Maybe you see a little of yourself in the person you’re looking to mentor. Maybe you believe you can genuinely help this person’s life for the better. Maybe you simply want to do good and this individual could use your help. Regardless of the reason, being a mentor isn’t something that has to consume all your time. However, it is something that may resonate with the individual you’re mentoring for their entire life. Support – You will have someone looking out for you – your mentor should and will have your best interests at heart. This is not an individual that has to mentor you, but rather, wants to mentor you. Experience – Traditionally, mentors have experience in the field you’re pursuing and can help guide you along the path. Mentors can help ‘teach you the ropes” and help you avoid pitfalls. Mentors are offering their guidance because they have something to give back and may want to help you avoid the mistakes they have made. Guidance – A good mentor can bring a calmness to your professional career and personal life that is hard to find without their guidance. Connections – If your mentor is in your field of study you may have the opportunity to rub elbows with the people they know. That said, don’t expect to be introduced to your mentor’s network. This may be a fringe benefit of having a mentor, not a reason mentors choose to work with people. Friendship – Mentors are normal people, just like you. 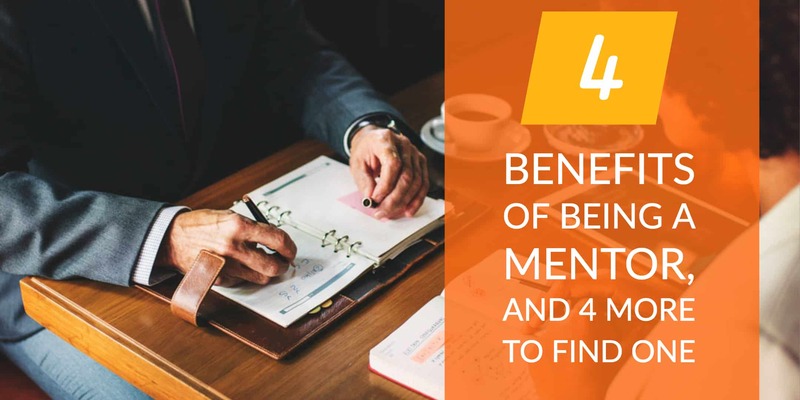 While there is a ton of support, guidance and general knowledge you can garner from having a mentor, there is also the opportunity to develop a friendship with someone that has your best interests at heart. Contact us to learn how StrasGlobal’s staffing services and retail consulting can help provide your team with the mentorship they need to make your business successful.